The matchup between undefeated boxing champ Floyd Mayweather Jr. and UFC champ (and underdog) Conor McGregor on August 25th is being called the biggest sporting event of the summer — and with good reason. 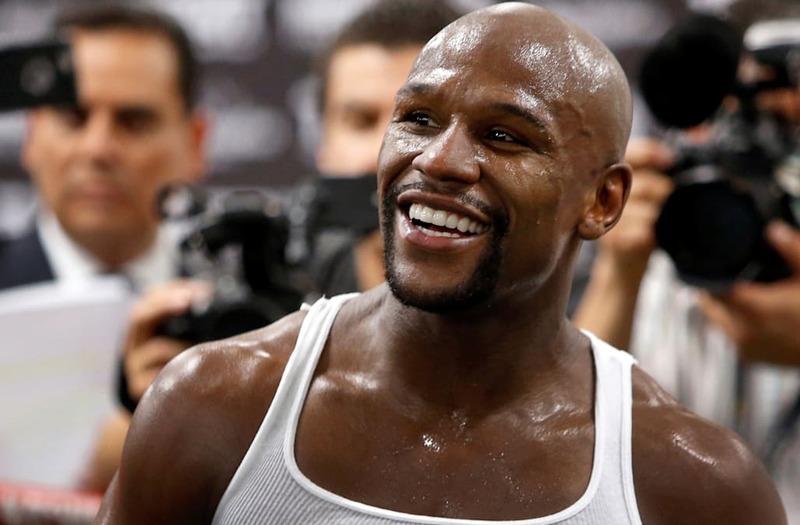 Though both men have had, for lack of a better word, contentious relationship with each other (whether face-to-face or to the media), it's perhaps been Mayweather's longstanding string of scandals and questionable comments that have made him one of the most well-known players in the game. Well, that and the fact that he's gone 49-0 (yes, zero as in zero losses) in matches and earned over $700 million in fights throughout the course of his career. After all, the man's nickname is "Money"! But what's Mayweather's estimated NetWorth? As of late 2016, Forbes estimated the athlete's net worth was around a staggering $340 million. Mayweather has managed to make his millions through several high-profile fights, including a cool $240M in his record-breaking fight to Manny Pacquiao in 2015 (which amassed the highest number of PPV buys ever) that brought in an estimated $600M total, making the fight the highest-grossing one-day sporting event to ever take place. Mayweather's most recent fight against Andre Berto (in September 2015) added another casual $32M in the bank for the retired boxer, helping secure Mayweather's title as the highest-paid athlete in the world every year from 2012-2016, according to Forbes. The fight between Mayweather and McGregor is estimated to earn the former over $100M, which would only add to the boxer's well-deserved 'Money' nickname. Win or lose on August 26, it's safe to say Mayweather will still be sitting pretty on more cash then we'll all more than likely ever see in our lives.